Festival season is on it’s way and I am attending V festival this year for the first time. So I have put together a wish list of festival must haves. From brightly coloured eyeliners to hair chalk to on trend floral crowns. 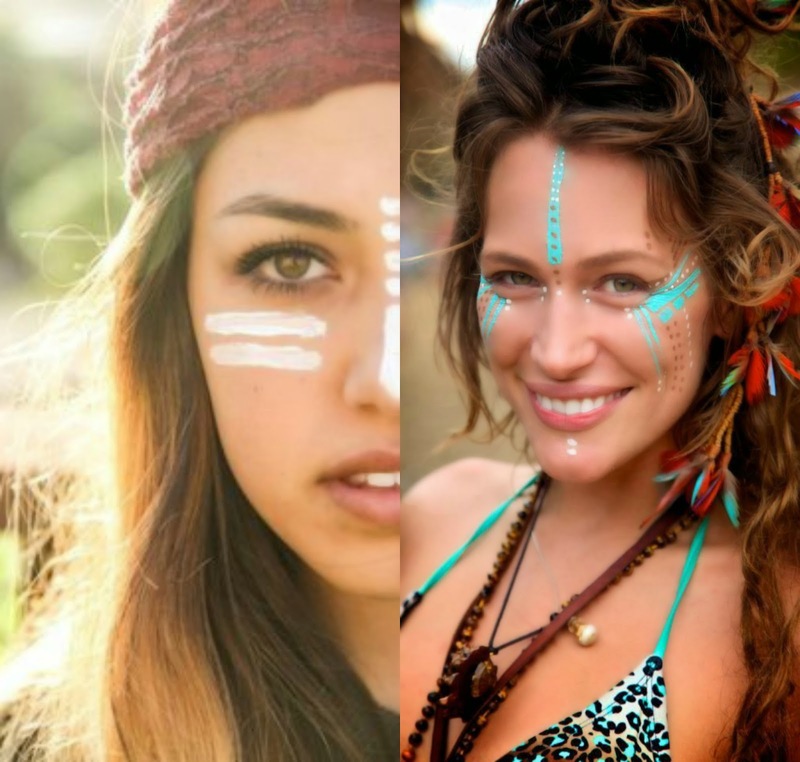 For an festival, face paint is a definite must have. 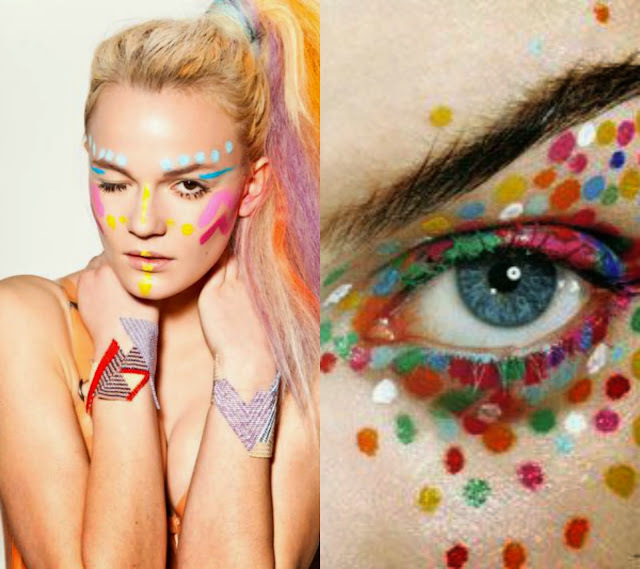 It is acceptable to wear brightly coloured eyeliner, mascara, flowers, dots and even hair chalk. #1 Flashmob Cosmetics Liquid Electricity Liquid Eyeliners : This set of 4 brightly coloured eyeliners will be ideal for any festival, brighten up your eyes with a simple line along the lash line or use them to decorate your face. Pink, Purple, Yellow and Blue, theres a colour for everyone. 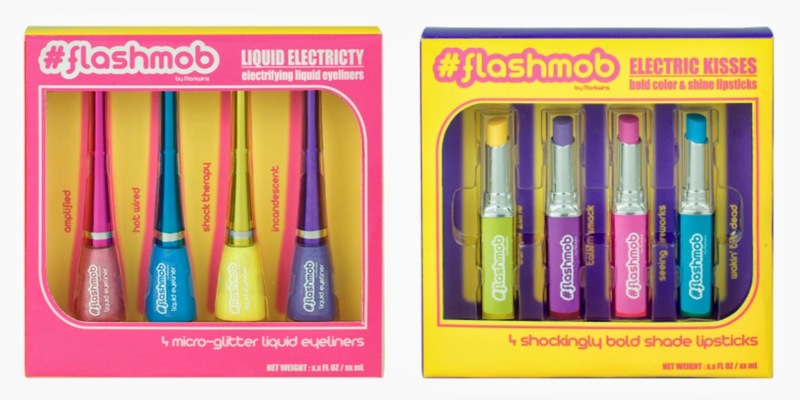 #2 Flashmob Cosmetics Electric Kisses Lipsticks : Do you want your eyeliner to match your lipstick? These Electric Kisses lipsticks are great for adding colour to your lips with four colours to choose from you, wearing a different colour each day. #3 Flashmob Cosmetics Live Wired Chalk Highlights – Brazen – Chilled : Colour your hair this festival season with these hair chalks. There are two sets of colours to choose from. Brazen has purple, pink and orange. Chilled has yellow, green and blue. 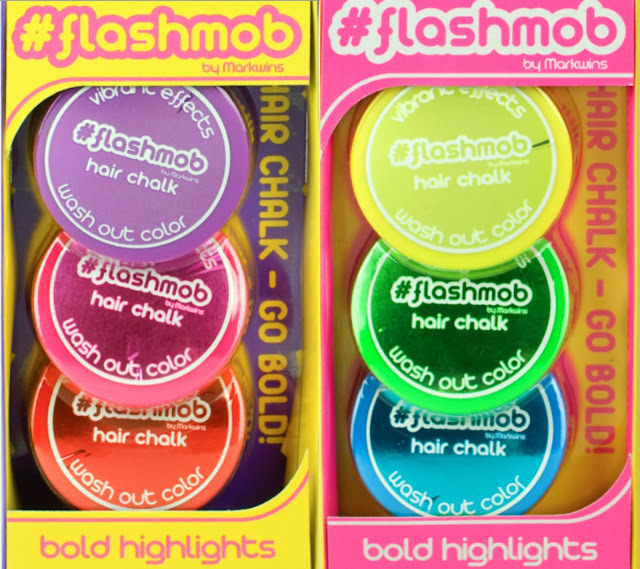 These non-permenat hair chalks allow you to change the colour of your hair whenever you desire. I would go for the set called Brazen because I have always wanted to have pink hair, I will be sporting brightly coloured hair at V festival this year. #4 Dolly Bow Bow Day Dreamer Floral crown £15 : Floral crowns are my favourite and I love wearing them throughout the warmer months. This one from Dolly Bow Bow is super cute, it’s pastel coloured and full of big roses. 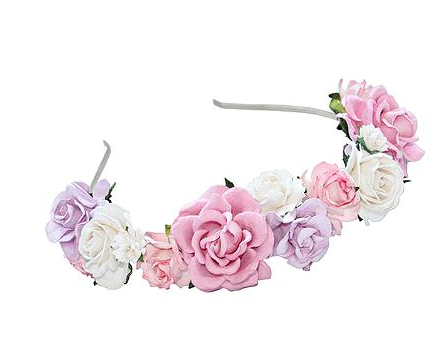 Perfect for festivals. P.s Wishlist Wednesdays is a new feature on my blog, thanks to my sister for coming up with the name.